Life isn't always easy when you're a Toothbrush. Just ask him and he'll tell you all about it. Or ask his best friend, the laid-back Floss. He's heard about Toothbrush's sob story so many times he could recite it flosslessly. But what happens when you find out that the grass isn't always greener on the underside? 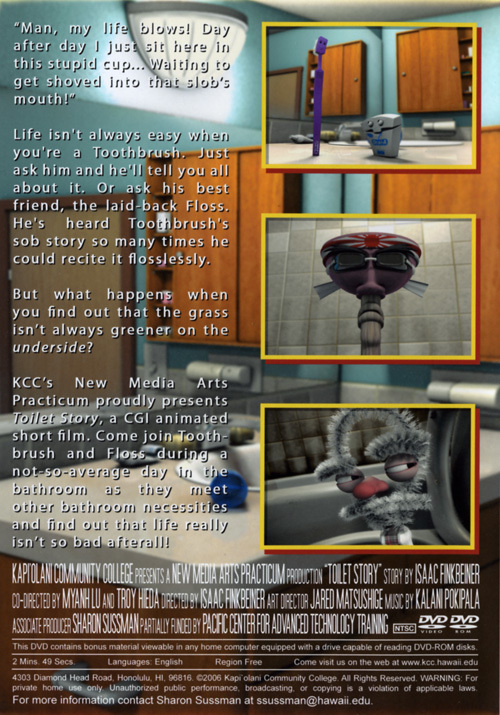 Come join Toothbrush and Floss during a not-so-average day in the bathroom as they meet other bathroom necessities and find out that life really isn't so bad after all!